you easily and accurately find the BEST ROBOT VACUUM FOR YOUR NEEDS. It takes 3-5 minutes and we will recommend the best, second best, and third best vacuum based on your answers. Free, no email required, and we have no connection to any of the sellers. We are now vacuum experts and can unequivocally declare – there is NO SUCH one ‘best robot vacuum’! 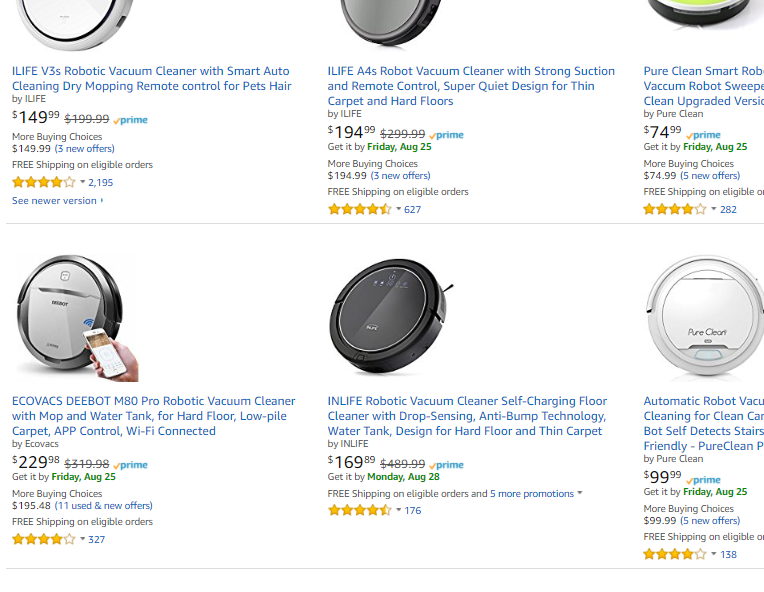 The truth is buying an automated vacuum is as complex as purchasing a vehicle! So we spent a few months carefully crafting this 4 minute questionaire to streamline the purchasing process for the 24+ products below. 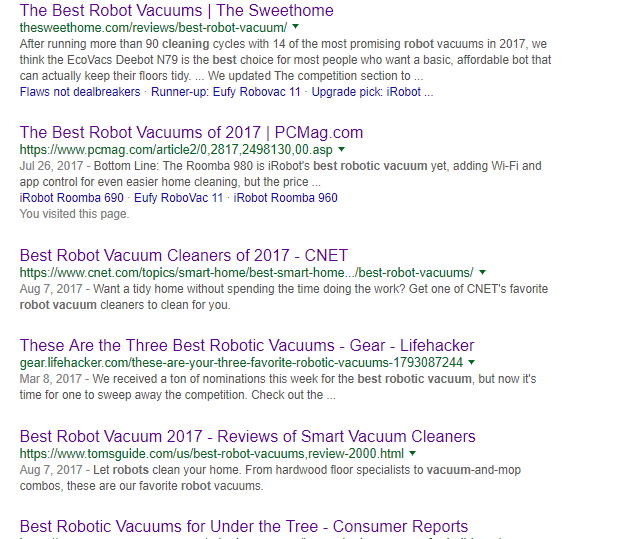 Note: 8 other vacuums are included in the evaluation table including iClebo Arte, Bissel 1974, Samsung R7070, and Roomba 880, and Bobi standard, but these models are very rarely competitive. We have included iClebo as it has excellent Amazon ratings, but be cautious when considering this purchase as some suspect fabricated Amazon reviews were at play. there’s a good chance you are very confused, frustrated, and maybe even dizzy. 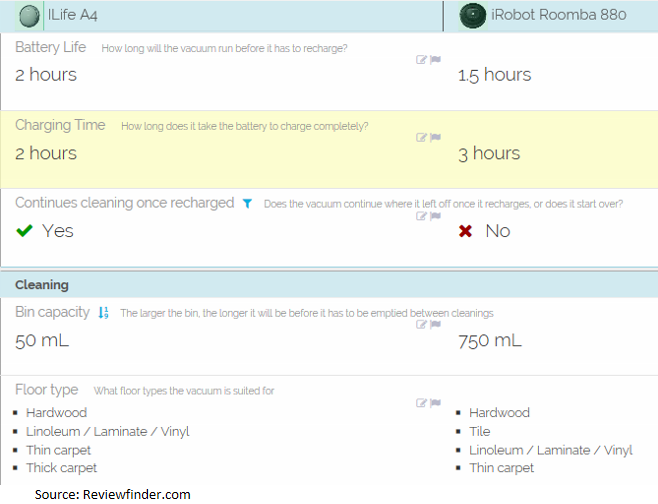 The top 6 product review sites list 12 different models as the ‘best robot vacuum’. TWELVE! Not even Amazon can produce a clear market leader. Nearly every model has dozens of one and two star reviews. The most expensive models ($600 and up) are outperformed by the cheapest models ($250 and below) in multiple key performance metrics. To perfectly match ONE vacuum to ONE customer based on a deeper understanding of YOUR NEEDS, ultimately saving you dozens of hours of misleading research, 100’s of dollars in overspending, and the headache of having to return an underperforming product. It’s free, we don’t require an email, and we do not have any connection to these sellers. We do earn a small fee from Amazon at NO COST TO YOU. We’re happy to hear from you and eager to perfect our solution!